Astringent, antirheumatic, and wound healer. Helps relieve itch from bug bites & stings. Promotes healing of skin irritation and minor wounds. Natural oils infused with organic chickweed. Properties include astringent, antirheumatic, and wound healer. Commonly added to remedies for rheumatism. Can be applied to boils and abscesses and to help relieve painful rheumatic joints. Also beneficial for treating eczema and other skin irritations, including the drawing out of insect stingers or splinters. 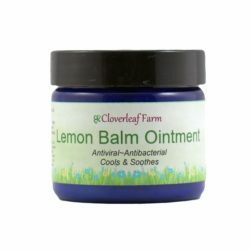 Useful in creams for skin rashes or to baths to help symptoms of eczema. (Will make tub slippery.) Contains vitamins A, B, and C. Easy dispensing treatment pump top. Rub into affected area every 3-4 hours as needed. For external use only. Organic chickweed herb, sesame oil, lavender essential oil. Do not used if there is any kidney disease present. Discontinue use if rash occurs. Do not use if allergic to daisies. Do not ingest. Use with adult supervision. Will stain fabrics. Will cause surfaces to be slippery. Do not use if allergic to ingredients. Avoid during pregnancy or breastfeeding.